It can be argued that there is no position in any other sport that carries more weight as that of the quarterback in American football. A player who plays that position is usually considered the leader of the offensive team and is often charged with calling the play, a responsibility that further gives them either all the credit or all the blame for the team’s performance. Over the years, so many players have shown outstanding ability to be considered amongst the greatest NFL quarterbacks. Some have been fortunate enough to win it all while others, despite all their remarkable talent, were unable to secure a coveted Super Bowl title or NFL championship before it. 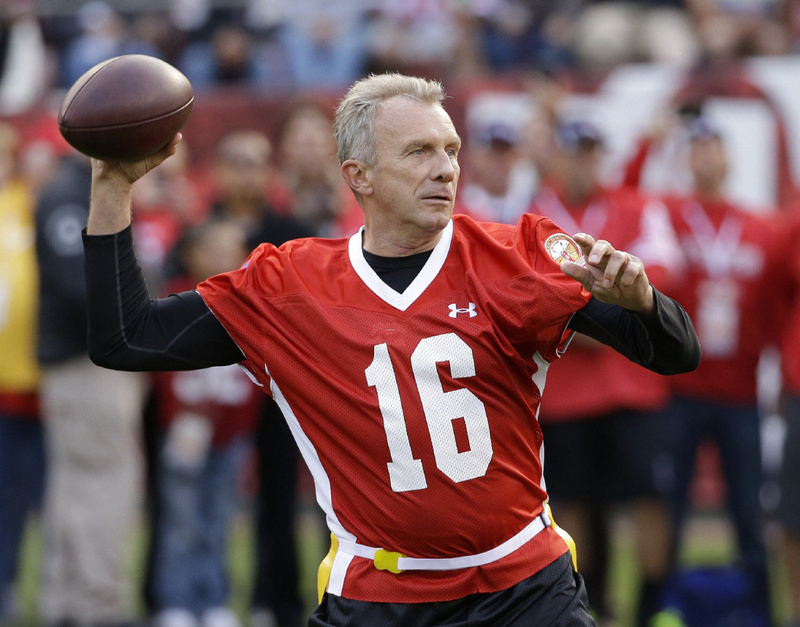 Joe Montana famously earned the nickname Joe Cool for his ability to keep calm under pressure, what is regarded as the most crucial trait for a quarterback. The New Eagle, Pennsylvania native is further regarded as the greatest big-game quarterback in history; he never threw an interception or lost a Super Bowl game in his career. Montana played college football at Notre Dame, winning the national championship in 1977 before becoming a professional after he was drafted by the San Francisco 49ers with the 82nd pick in the third round of the 1979 NFL Draft. While many would argue that John Elway‘s greatness was hampered by his inability to lead his team over the line when it matters, seeing that he appeared in five Super Bowls but only managed to win two, his quality as a quarterback cannot be overstated. The longtime Bronco, who was selected 1st overall in the 1983 NFL Draft, was ahead of his time for his ability to run the ball. He is the only quarterback and second player in NFL history to score a rushing touchdown in four different Super Bowls. 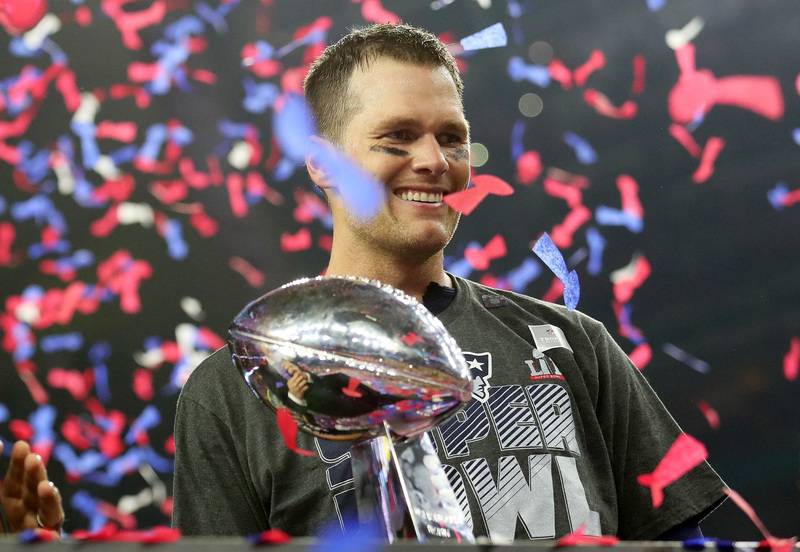 Tom Brady‘s legendary status as a quarterback speaks for itself. While he is known to lack arm strength and mobility, which are key traits for a player in the position he plays, he has been able to set himself aside as an all-time great; thanks to his accuracy, decision-making and football IQ. Like Montana who appears above him, Brady was a lightly regarded prospect from the University of Michigan. The 1997 National Champion was selected by the Patriots with the 199th overall pick in the sixth round of 2000 NFL Draft. He has since that time remained with the team, thereby setting the NFL record for the longest time playing quarterback for one franchise. 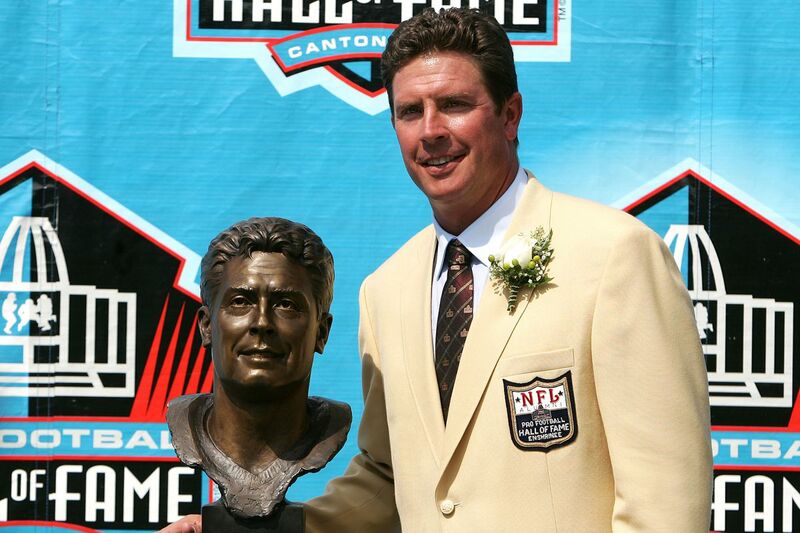 Dan Marino is another person who is considered to be one of the greatest NFL quarterbacks in history despite him having never been on a Super Bowl-winning team, which has inadvertently diminished his legendary status. The career Miami Dolphins player was revered for having one of the quickest releases of any passer in league history, as well as for his ability to diagnose defenses. The Pittsburgh, Pennsylvania native played college football for the University of Pittsburgh’s Panthers football team from 1979 to 1982 before joining the Dolphins. Some of the individual awards he won in his career include 1983 NFL Rookie of the Year; the 1984 NFL Most Valuable Player and NFL Offensive Player of the Year; and the 1998 Walter Payton NFL Man of the Year, among others. Johnny Unitas is widely regarded as the first great quarterback of the NFL’s modern era. He was known for his abilities to keep cool under pressure and to make a pass. A testament to this is that he held the record for consecutive games with a touchdown pass which stood for 52 years until one Drew Brees came along and broke it in 2012. Unitas attended and played college football for the University of Louisville before he was drafted by the Pittsburgh Steelers in the ninth round of the 1955 NFL Draft. Some of his achievements in his career include being a four-time NFL passing touchdowns leader (1957–1960), a four-time NFL passing yards leader (1957, 1959, 1960, 1963), and a ten-time Pro Bowler (1957–1964, 1966, 1967). Brett Favre, popularly known as The Gunslinger or Football’s Iron Man, was known for his sheer production and durability as he set the NFL record for consecutive starts with 297 over 19 seasons. 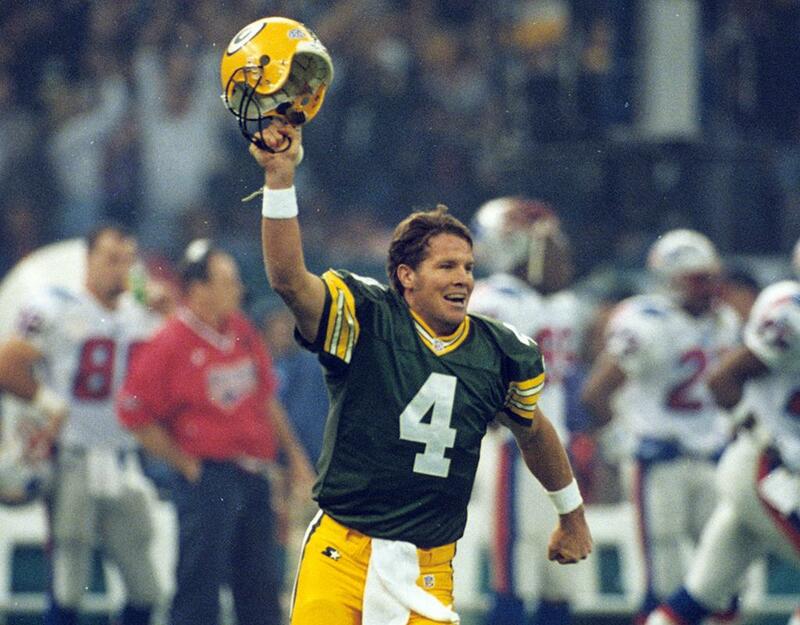 Fans of Favre and NFL enthusiasts alike would never forget the Monday night he famously took to the field, just a day after the death of his father. Favre played and set numerous school records for the University of Southern Mississippi. After spending four years in college, he was selected by the Atlanta Falcons with the 33rd pick in the second round of the 1991 NFL Draft. 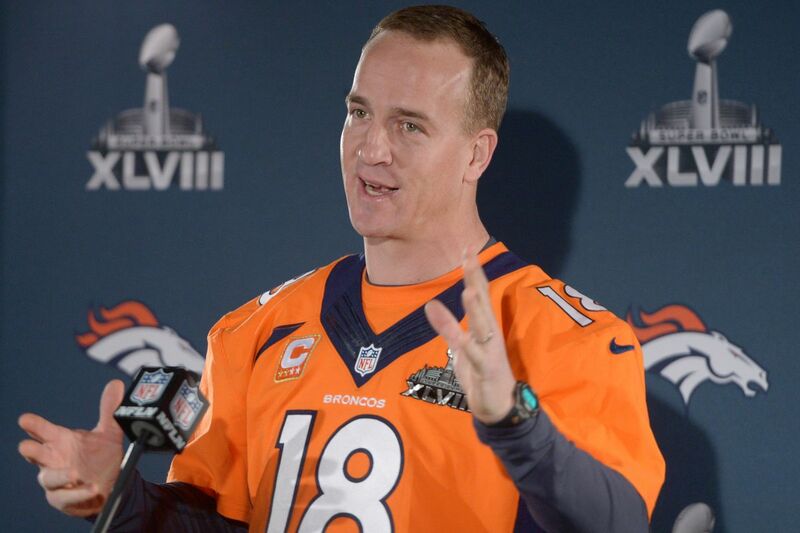 It has been said many times that if a quarterback was to be created in the lab, the first thing that scientists would look to give the robot is the brain of Peyton Manning, who was and is still revered for his football IQ, a trait he used to diagnose coverages and win mental battles against opposing defensive coordinators. The Sheriff, as he was popularly nicknamed for his audibility at the line of scrimmage, was drafted first overall in the 1998 NFL Draft. He went on to set numerous NFL records, including touchdown passes and becoming the only quarterback to start the Super Bowl for two franchises more than once each. Of all the quarterbacks that will appear on this greatest NFL quarterbacks list, Steve Young is probably the most dynamic of them all. This because he was an efficient passer as well as a good rusher. He led the league in passer rating a record six times and rushed for the third-most touchdowns from the QB position in history. Young, despite interest from the University of North Carolina, attended Brigham Young University (BYU). Some of the other achievements the 2001 College Football Hall of Fame inductee made includes being a two-time NFL Most Valuable Player (1992, 1994) and a four-time NFL passing touchdowns leader (1992–1994, 1998). If consistent wins and appearances at a championship game were the yardsticks for ranking the greatest NFL quarterbacks, Otto Graham will undoubtedly appear above all the names that are certain to make the list. This is because, between 1946 and 1955, the Waukegan, Illinois native led his team to a league championship appearance every season, winning seven of them. Some of his other accomplishments include being a three-time NFL Most Valuable Player (1951, 1953, 1955) and a two-time NFL passing yards leader (1952, 1953). 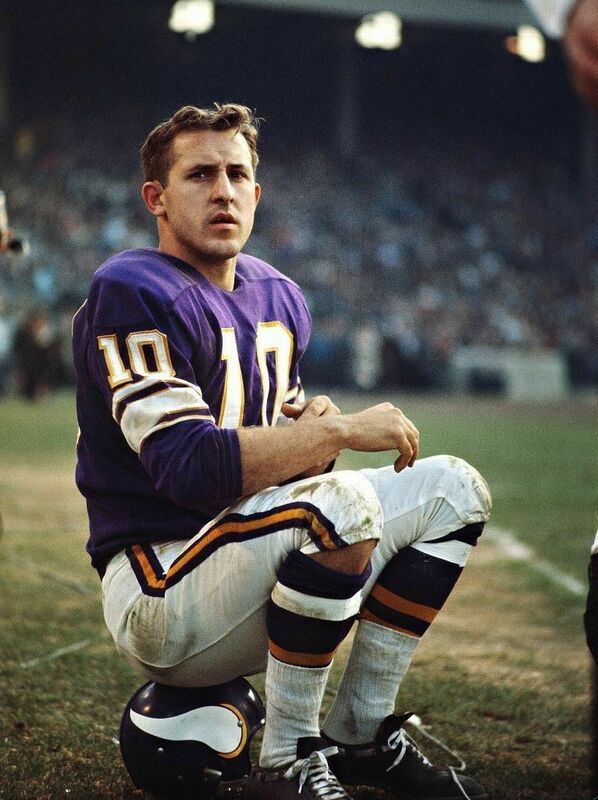 After having finished as the league’s top-10 leading passers in 17 of the 18 NFL seasons he played, Fran Tarkenton is undoubtedly one of the most reliable passers in NFL history. Even without having ever won a championship, his legendary status is cemented thanks to the fact that at the time of his retirement, he held every major quarterback record. The Richmond, Virginia native, who played college football at the University of Georgia, was inducted into the Pro Football Hall of Fame in 1986 and the College Football Hall of Fame in 1987. One can only wonder what Roger Staubach‘s career statistics would have been like if he became a professional football player right after college. The 1963 Heisman Trophy winner attended the U.S. Naval Academy and had to serve in the Navy for four years before being able to play professionally. He made his debut in the NFL as a 27-year-old rookie and was still able to get a hang of proceedings to be able to lead his team to the Super Bowl on five occasions. At Super Bowl VI, Staubach was named Most Valuable Player, making him the first of four players to win both the Heisman Trophy and Super Bowl MVP title. Dan Fouts is another player to make it to the greatest NFL quarterbacks list even though he was unable to guide his team to a championship. He is able to make this list because he was one of the most prolific passing quarterbacks of his time, leading the NFL in passing yards from 1979 to 1982 and becoming the first player in history to throw for 4,000 yards in three consecutive seasons. Fouts, who was inducted into the Pro Football Hall of Fame in 1993, played college football at the University of Oregon before being selected in the third round of the 1973 NFL Draft. 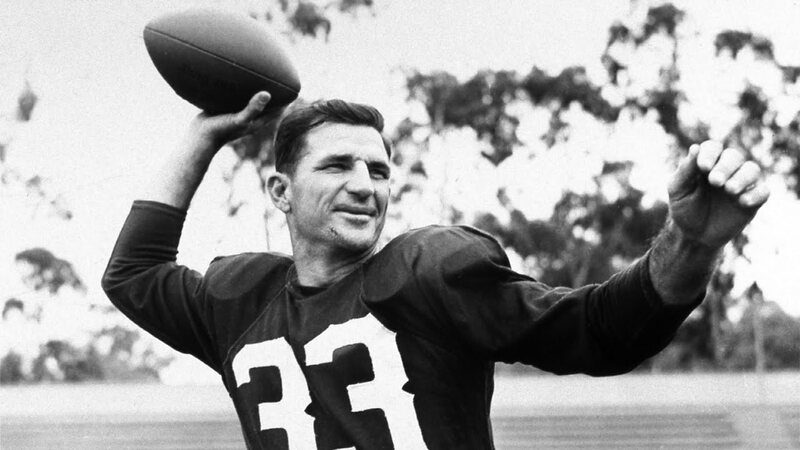 Sammy Baugh was primarily known for his passing prowess, as he led the league in completion percentage eight times and in passer rating six times. He was further revered for his versatility and ability to play at a high level as a punter and a defensive back. The 1963 Pro Football Hall of Fame inductee played college football for Texas Christian University before he was drafted sixth overall in the 1937 NFL Draft by the Washington Redskins. 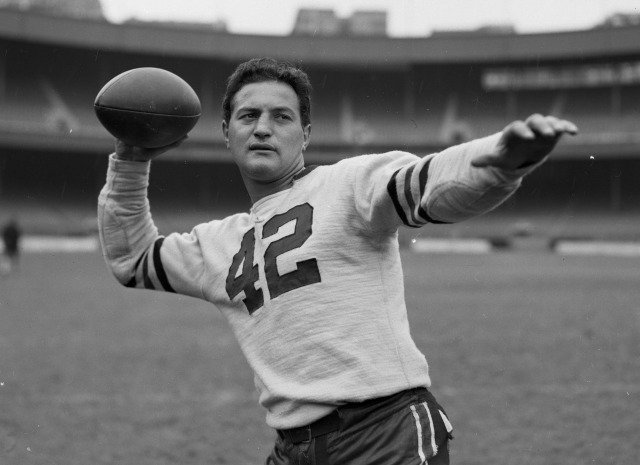 While there are many quarterbacks that are known for their passing ability, Sid Luckman is considered to have revolutionized that aspect of the game as he is further noted amongst the greatest long-range passers in NFL history. He was the first person to ever throw for 400 yards in a game and once passed for seven touchdowns in a game, a record that still stands today. Bart Starr was the first quarterback to ever win a Super Bowl. He was known for his ability to pass the ball, specifically in the postseason, something that helped him have the best career playoff passer rating of any quarterback in NFL history as he has only ever lost one playoff game ever. The Montgomery, Alabama native played college football at the University of Alabama before he was selected 200th overall in the 17th round of the 1956 NFL Draft by the Green Bay Packers.